The full listing of the local products of Sicily. 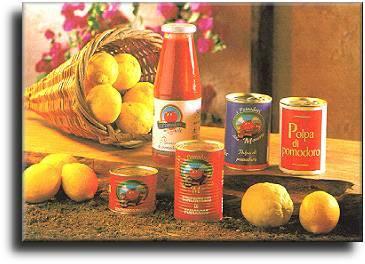 The kind of goods are: tomato products (chopped tomatoes, tomato paste, tomato concentrate). The annual production is: 150.000 quintals. The technological process is: raw materials are processed with high-technology assembly lines, thus obtaining the finished products. Further information on the business: it has been set up in 1981, it has expanded in 1984 and in 1990. It has 13 regular employees and 70 seasonal workers.